New Delhi, Oct 26 (IANS) A businessman who claimed a gangster shot dead his wife in front of him and their young son was arrested on Thursday after he confessed to killing her with a view to live with a woman he was having an affair with, police said. Pankaj Mehra had told police that a man who he owed Rs 40 lakh was to blame for the early Wednesday murder of his wife Priya, who he claimed died when two shots fired by the gangster into their car hit her when he grappled with the weapon. Police said discrepancies in his statements made him a suspect even as he kept blaming a hospital for delaying treatment to his wounded wife when he drove her there. Police said Pankaj Mehra was arrested on Thursday morning and interrogated for several hours. He was taken to the crime spot to recall the sequence of crime but he kept faltering. CCTV footage from the area did not show any other car chasing the Mehras’ car as claimed by him. Police said he was the one who killed his wife in cold blood and blamed the investor so that he would not have to repay his huge debt. “He broke down and admitted to his crime. He said he was burdened by heavy losses due to the closure of his two restaurants,” Joint Commissioner of Police Rajesh Khurana said. “He often fought with his wife over his extra-martial affair. 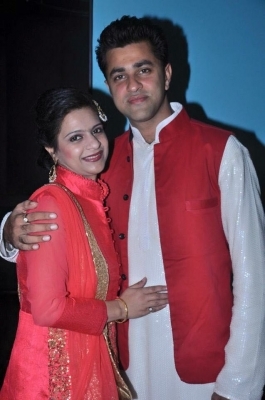 He wanted to live with the other woman after killing his wife,” Khurana said. According to Mehra’s original story, two or three men in another car waylaid his car and opened fire when he, his wife and their two-year-old son were going from Gurdwara Bangla Sahib to their home in Shalimar Bagh around 4.30 a.m. on Wednesday. Of the two bullets that were fired, one hit Priya Mehra’s cheek and another her neck. She was declared dead at the hospital.